I’m kicking off a brand new feature here on Domestocrat called Simple Snacks. These posts will be a place for simple snack ideas that are, first and foremost, healthy, easy, and satisfying. I have a hard time with snacks: I either find them to be too boring (piece of fruit, granola bar), too involved (homemade guac or hummus), too hard to portion control (big bags of crackers, chips), or too junky to eat every day (cheez its, chocolate, cookies). In this new feature I want to highlight snacks you can make or prep at home that are good for you, could serve as an alternative treat, easily portioned, and a snap to make. 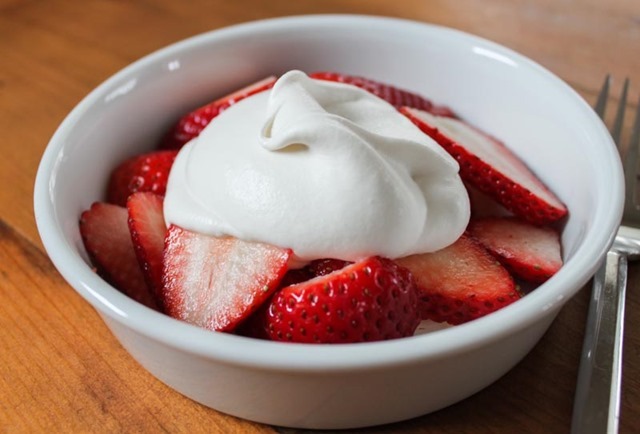 So, without further ado, here is Simple Snack #1 – organic strawberries with whipped topping. There is something about sliced fruit that makes it so much more appealing to me. Eating a strawberry or apple whole is boring as heck. But slice them up thinly so they look pretty? You just changed the game. Let’s also not forget about the natural sweetness in fruit. It’s so easy to pass on fruit as a dessert option in a world of brownies and rice krispie treats, but it is really delicious. I know organic isn’t in everyone’s budget but I think you can really taste the difference. 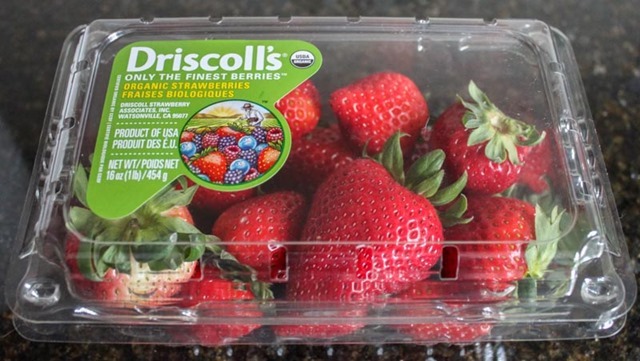 You can buy conventional berries too though, no big deal. Now let’s talk about whipped topping. I know, it’s kind of an old lady snack but bear with me here. 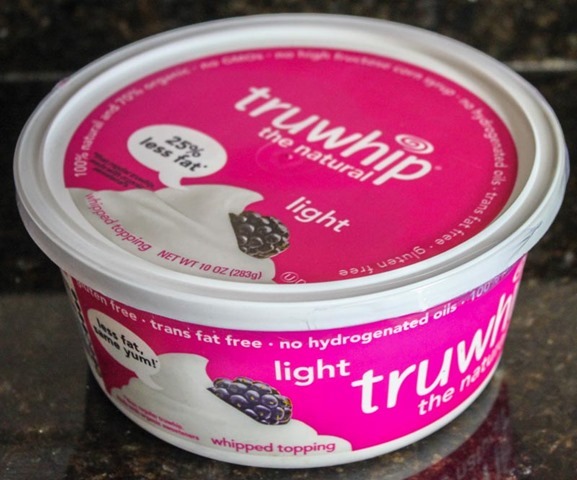 I bought this Truwhip at Whole Foods and it’s so good. 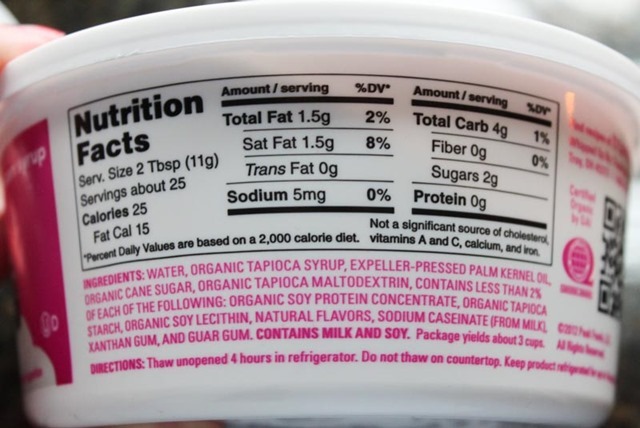 Unlike other whipped toppings, Truwhip has no high fructose corn syrup and no hydrogenated oils (also, it’s gluten free, trans fat free, and 70% organic). Yesterday I was eating some strawberries and wondering what whipped topping would go best on them, and today here is the answer. Timely!